Taking a moment to thank my Mom today. She's been so supportive this past week (as well as the past 35 years) as I've been seeking her advice and possibly providing her more than an earful at times. 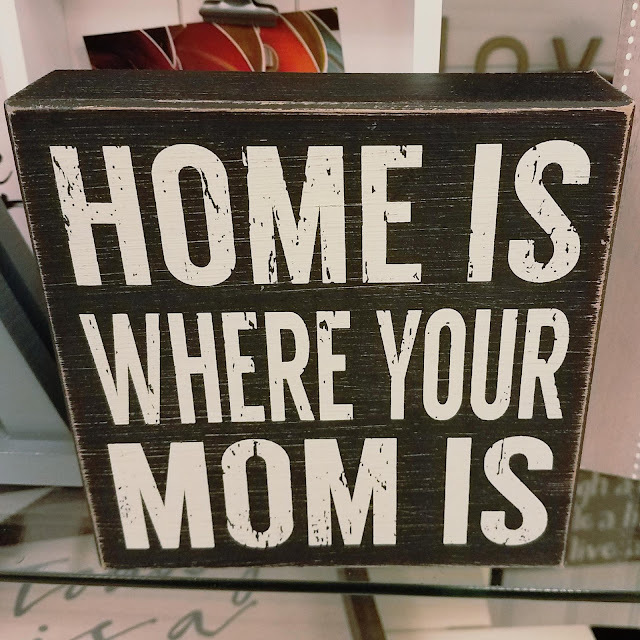 I saw this "Home Is Where You Mom Is" home decor item at T.J. Maxx this week and thought of her. Today is one of these days I have all these ideas swirling in my head but I am too exhausted to process. Here's to a proper post tomorrow for day three of my #30DayBlogChallenge but this will have to do for day two.